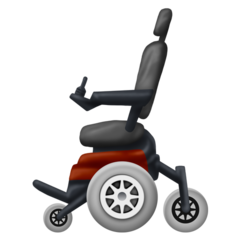 🦼 is an emoji featuring a motorized wheelchair. It is distinct from 🦽 which represents a manual wheelchair. It was introduced with Unicode 12.0 in 2019. The mechanical arm emoji 🦾 was introduced with Unicode 12.0.